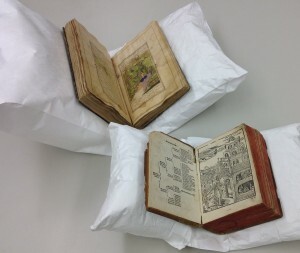 Two rare volumes from MIT Libraries Institute Archives and Special Collections rest on these easy to make book cradles. Book cradles are a type of support that help to reduce stress on the spine of a book, stress that over time can cause book covers to pull away from the area where they connect to the text pages. 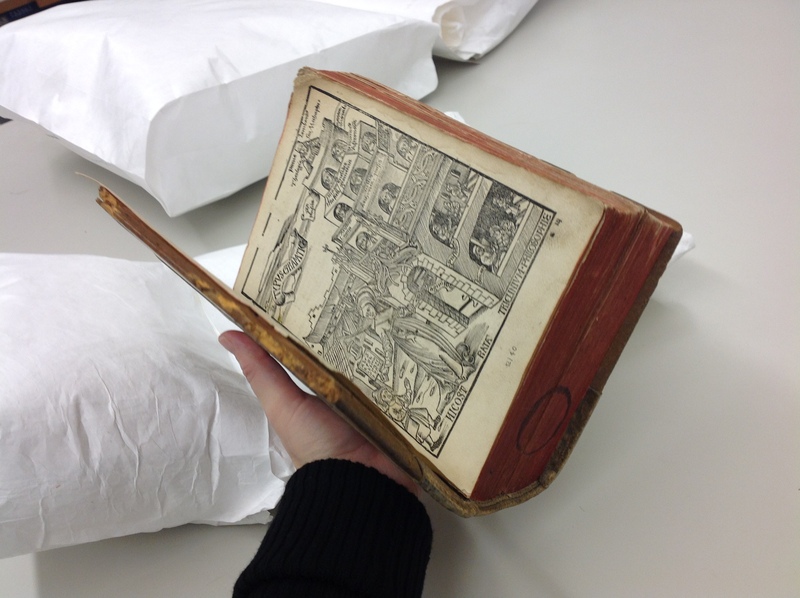 Cradles help prop a book open, usually at an angle less than 180° so that the book doesn’t lay flat on a tabletop. Reducing stress on the book opening is a preventative measure and helps reduce the need for expensive and time consuming repairs. 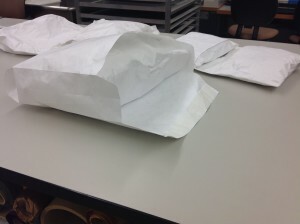 Also useful as a spacer to keep books vertical (while in a partially filled box or during transit). 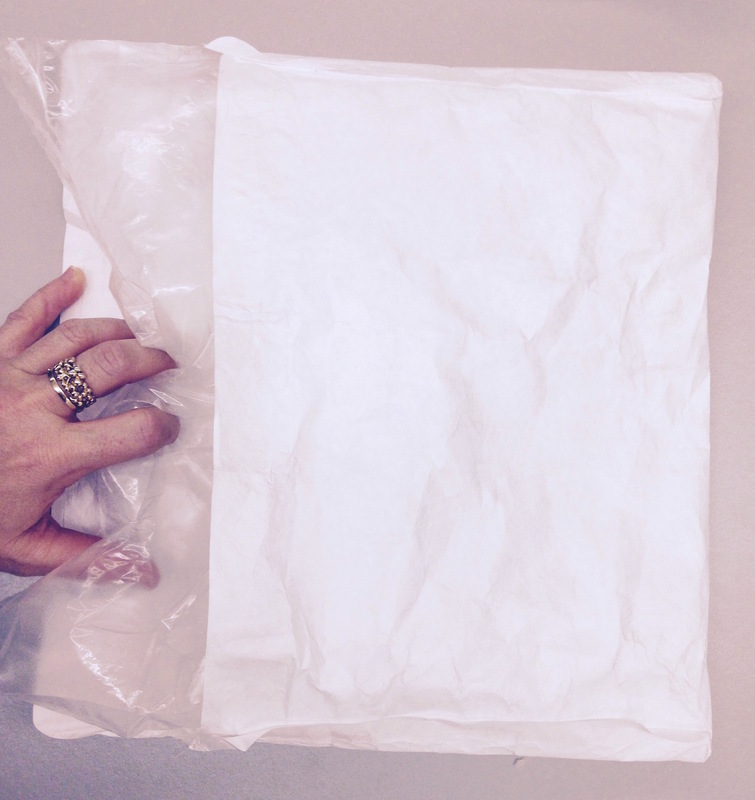 Recycled air pillows often found as cushioning material inside shipped packages. Place your book in the palm of your hand and open it, feeling how wide the book will open without forcing either side down. Is the angle less than 180 degrees? 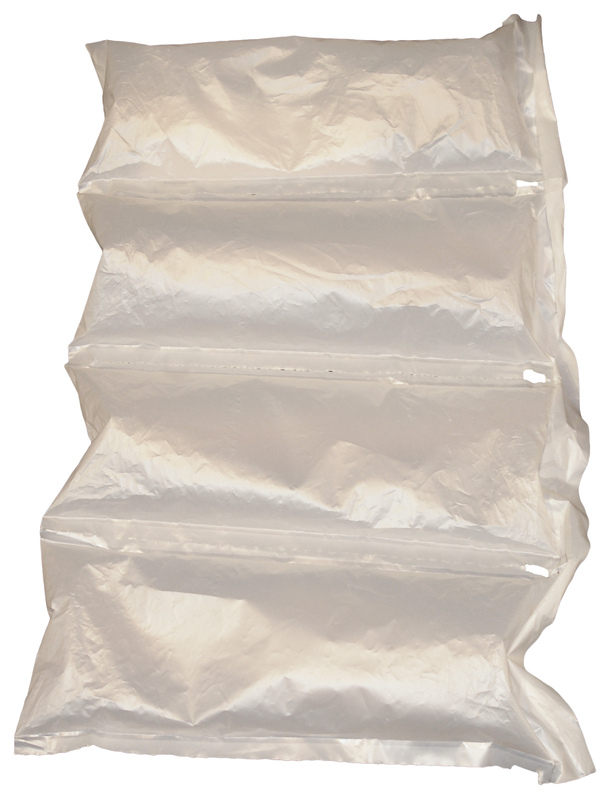 This action will help you determine how many air cushions to place inside each Tyvek™ envelope. Insert an air cushion (or more than one) into each envelope pouch. 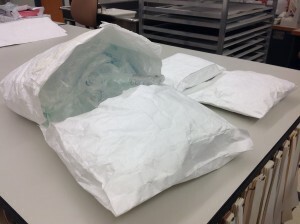 If you need to use several air cushions or Styrofoam peanuts to create the amount of cushion you’ll need to support your book, place them into a resealable bag or Tyvek™ envelope to contain the cushioning material first before inserting it into either side of the book cradle. 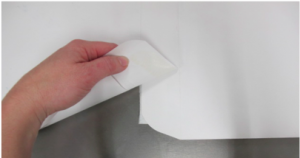 Remove self-adhesive guard strip from one of the envelope flaps and adhere it to the flap of the other envelope. By adhering the two flaps together, you create an area for the spine of the book to rest in. Apply pressure over the adhered area to ensure firm attachment. 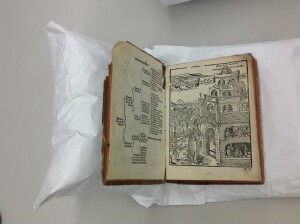 Place the book on the book cradle. 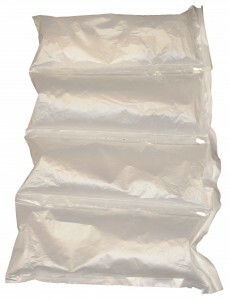 Use different air cushion sizes to support the desired opening. Use book snakes (light padded weights) as needed to help hold the pages down while consulting your treasured book. This entry was posted in All news and tagged air cushions, book cradle, book rest, book support, Conservation, curation and preservation services, inexpensive book cradle, MIT Libraries, rare book supports, tyvek, Wunsch conservation lab on January 12, 2015 by Jana Dambrogio.